Since decades, Daytona Beach in Florida has a strong connection with anything cars and bikes. Daytona Beach is the epicenter of the Daytona Bike week when a huge immersion of literally hundreds of thousands of bikers takes over the streets of Daytona. An event that has a history since 1937 and still lives on. The Daytona Beach Road Course, located in Ponce Inlet about 15 miles more south than the current Daytona International Speedway circuit may be seen as the birthplace of the National Association for Stock Car Auto Racing, NASCAR in short. The Daytona Beach and Road Course ran about 2 miles on a paved road, parallel to the ocean, to take a turn on the beach to return north on the sandy beach surface. This was the place where Major Henry Segrave set the first land speed record at 203.79 mph (327.97 km/h), peaking at a top speed of 211 mph. The first race was organized at this Road and Beach track in 1936. The first NASCAR race took place in 1949 in Charleston, Florida but NASCAR racing moved to the Daytona Beach and Road Course in February 1950 with the 1st Daytona 500, a tradition that’s still holds to this day. The races were very popular and attracted huge crowds, urging the need of a dedicated and permanent race-track. 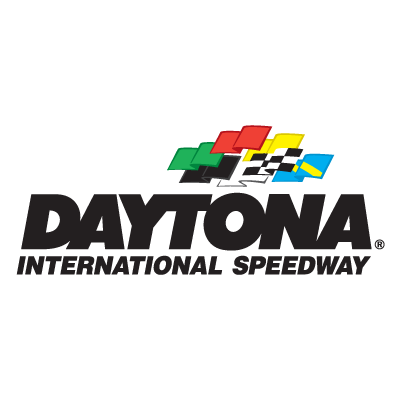 Construction of the Daytona International Speedway began in 1956. April 5 1959, shortly after the opening of the race-rack a 6 hour / 1000 km race took place. Argentinians Antonio von Dory and Robert Mieres drove Antonio von Dory’s 1.498cc Porsche to victory in the grueling race. Originally scheduled for 1000km, the race was curtailed by approaching darkness. In 1962 a 3 hour race was introduced, the Daytona Continental. Dan Gurney, Porsche factory driver at that time, won this race in a Lotus 19 with a finish that forced the officials to change the rules. Dan Gurney lead the race with a wealthy advantage when his car broke down just minutes before the finish of the race. He parked his car just meters in front of the finish line on the top of the banking as he knew he had a few minutes advantage on his rivals. When the 3 hours had elapsed, Dan Gurney turned his wheels to the lower part of the banking and gravity did the job. The car started rolling and crossed the finish line, assuring victory in a rather uncommon way. Soon after this remarkable finish, the rules changed and cars had to cross the line under its own power to be eligible for qualification. Even though the race was only 3 hours, 1962 counts as the first year of the Daytona 24H when it comes to anniversary celebrations. In 1964 the distance to be covered was augmented to 2000 km, double of the endurance races at the Nurburgring, Monza and Spa. This was about the same distance to be covered in the Sebring 12H and about half of the distance covered in the Le Mans 24 at the time. In 1966 the race was extended to the full 24 hours and won by Ken Miles and Lloyd Ruby in a Ford MKII. In 1972 however, the race was trimmed back to 6 hours with the global FIA sanctioning body insisting only the Le Mans should run 24 hours. In 1973 this was withdrawn and the race ran again for 24 hours. In 1974 there was no race at all : capitulation to the worldwide fuel crisis.